With that fateful line, Ice Cube and his partners in crime (Dr. Dre, DJ Yella, Eazy-E and MC Ren) beget 1,000 impostors. Their crime-obsessed, profanity fueled, lyrical Molotov cocktails would enrage parents, provoke the government and influence the masses, so much so that the sub-genre of Hip Hop they actualized would become status quo. Yet, they’ve still managed to separate themselves from their offspring nearly 25 years since the release of their seminal debut. It’s not that the subject matter or production style is any different or more complex, but that the creators were more inspired. Beneath their front as provocateurs, they were actually diligent craftsman, capable of building narrative and diversifying their sound to broaden influence. They also wisely never hid from a little bad press, wearing their troublemaker persona as a badge of honor. Cube was the most outspoken of this group of agitators; brazen, hostile and chauvinistic. He’d be easy to pass off as brutish enfant terrible, if he wasn’t skillfully crafting compelling characters. With Eazy-E, he constructed a devilish anti-hero, both comedic and carnal, packing a drunken bravado that matched his high-pitched vocal wail. “8 Ball (Remix)” is their collaborative apex, bringing the smart-a** rebelliousness of Licensed to Ill and Van Halen to the streets of South Central. These incendiary voices are backed by low-tech 808 clash and bass line thump, buoyed by skittish horn and guitar that wouldn’t be out of place in a Blaxploitation montage. 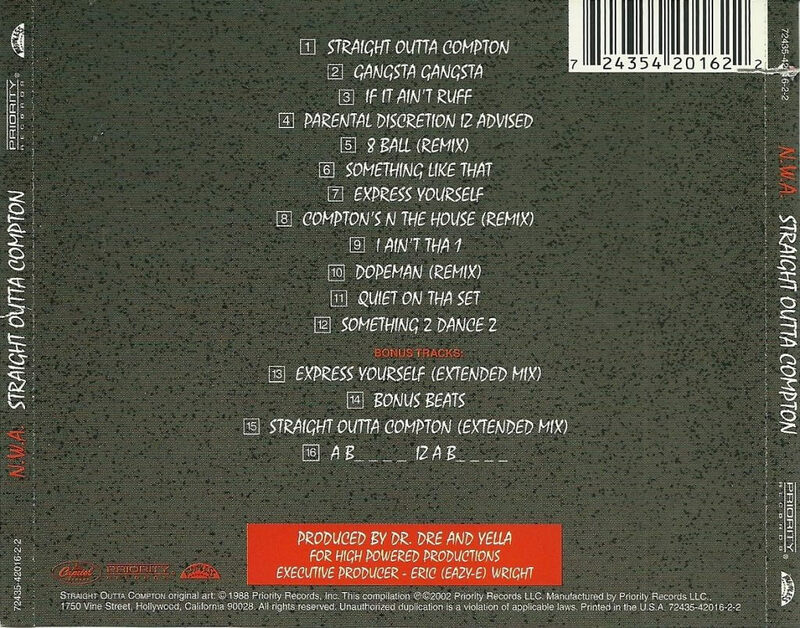 Despite the relatively primitive construction, the conceptual aspects of Dre and Yella’s production are quite brilliant. Each track is built to fit a certain niche, whether that be rallying cry (“Gangsta Gangsta”), club jam (“Something 2 Dance 2”) or, dare I say, sanitized inspirational anthem (“Express Yourself”). They’re casting a wide net in hopes of attracting multiple demographics, possibly to counter any controversy inspired by aberrant and anti-social lyrics. Ultimately, Straight Outta Compton benefits more from this pop sensibility than its sensationalism. Emotionless violence is a hard pill to swallow, but N.W.A manage to temper it with enough smirking and song craft to make us forget… if just for a moment. 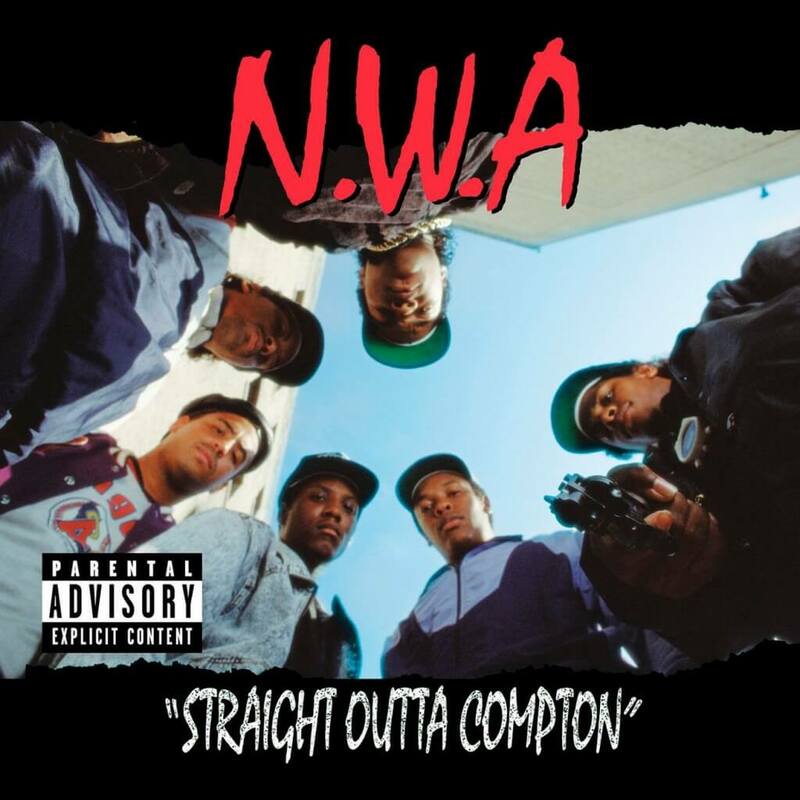 N.W.A – Straight Outta Compton was ranked #43 on Matt Deapo‘s Hip Hop Top 50, a ranking of 50 of the best Hip Hop albums recorded between 1978 and 2006, based on this consideration and these rules.